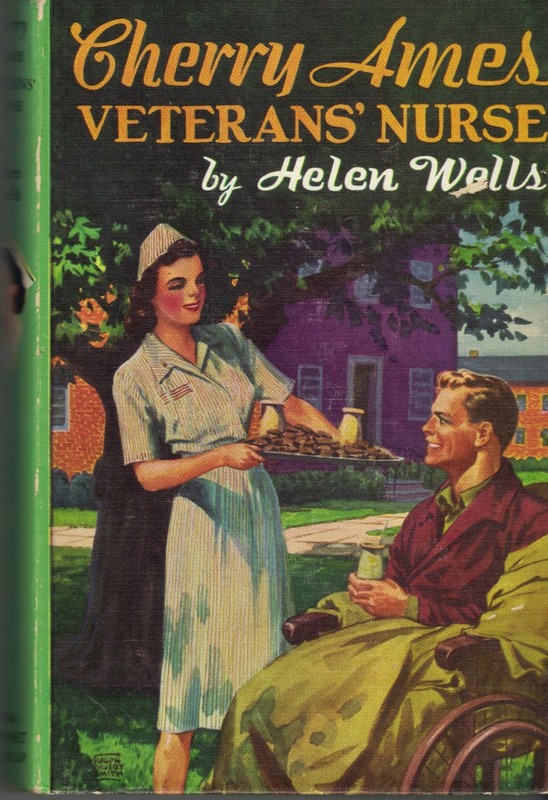 Book #6 in the Cherry Ames series, this one is totally centered on Cherry caring for soldiers that have returned from WWII and who are wounded badly. The description of what the wounded soldiers look like and how their war experiences have affected them is very well done. There is also a mystery here in that some very new medicine has been stolen from the hospital storage room. Cherry undertakes to find out who the thief is and why that particular medicine is taken. That part is also well done. I have yet to read a Cherry Ames book which is disappointing.